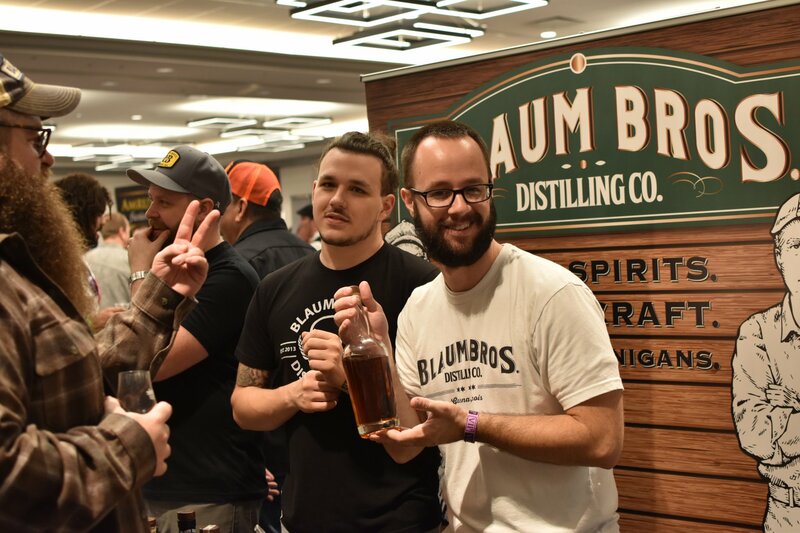 Read our in-depth recap of the 2016 Chicago Indie Spirits Expo, click here! I sat in on all three seminars this year starting with an incredible Industry Roundtable Discussion. 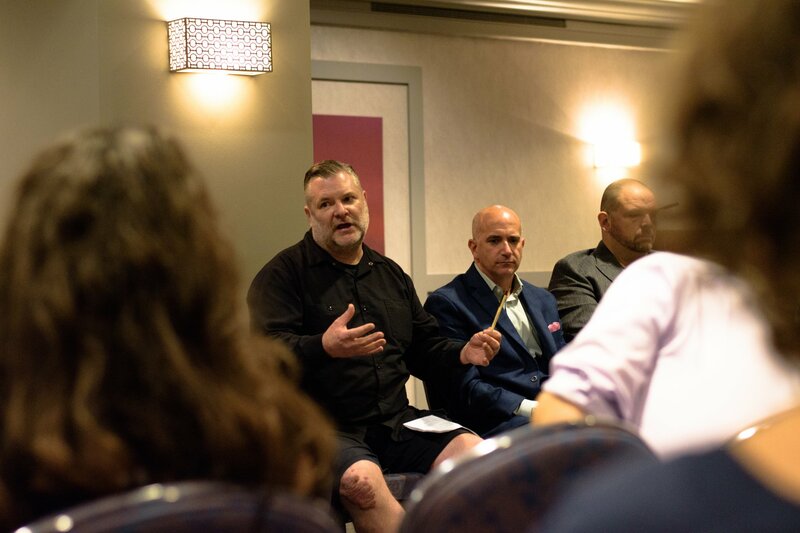 An expert panel covering the gamut from distillers to distributors to retailers and everyone in between discussing current industry trends and challenges. 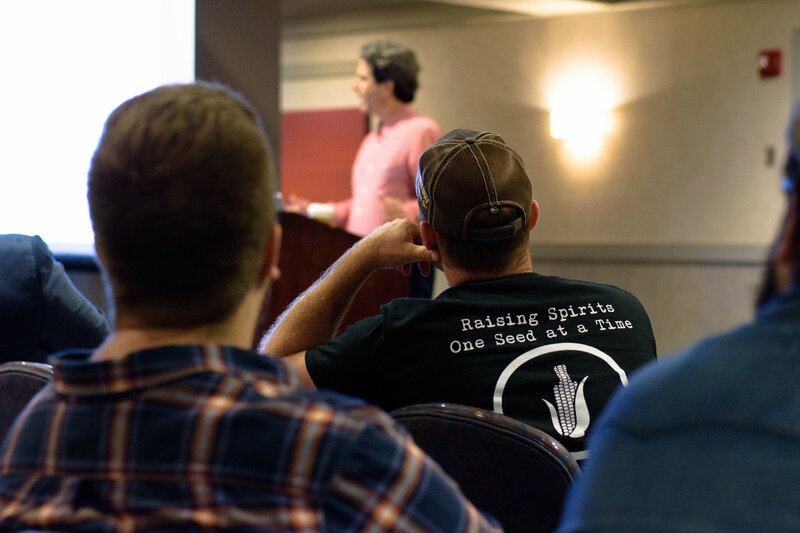 Giving the audience of craft distillers, brand owners, and writers like me a glimpse into what the future holds for indie spirits brands. There are a few key takeaways from the 2 hour discussion. 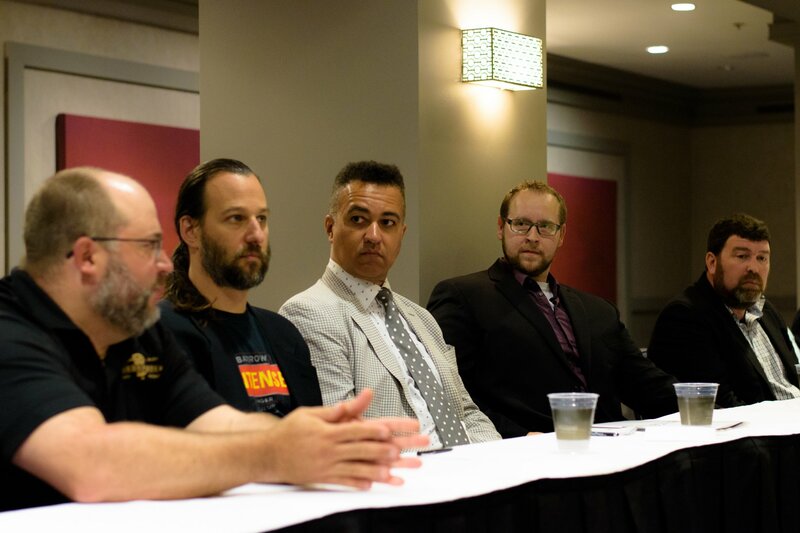 While craft distilling has had and continues to enjoy astronomical growth, like the craft beer movement before it, there are some signs it’s no longer a free for all. This year independent brands are beginning to enjoy the success of their hard work, being acquired or merging with others, but unfortunately some are closing their doors. As one panelist put it, they aren’t going out of business so much as they are “giving up”. Realizing their huge investments, 80 hour weeks, and tireless travel isn’t enough in this competitive environment. Points made were that it takes much more planning than 5 years ago to be a successful indie distiller. It can no longer start as a hobby and expect breakout success. Extensive business planning, key marketing strategies, and boots on the ground engagement with on-premise and off-premise accounts is vital to a chance at success. Transparency of brands is also coming to the forefront of consumers minds. The days of banking on your local homegrown status or deep family heritage are over. Consumers have become better educated and demand to know more about a brand before giving it a chance. Brand heritage is taking a backseat to the quality of the spirit in the bottle. Whereas a distributor or retailer yesterday may have been happy to hear your pitch, today they now want to taste your spirit first then, if you’re making a great spirit, they’ll listen to your story. Sourcing bourbon is now accepted as a standard practice. Brands like Templeton gave this a bad name by deceptively advertising their sourced whiskey as locally made. But with today’s high demand for bourbon and rye many brands, Smooth Ambler, Angel’s Envy, Bulleit, Willett, have built insanely successful brands on sourced whiskey. Though the key, once again, is that their whiskey is really good. 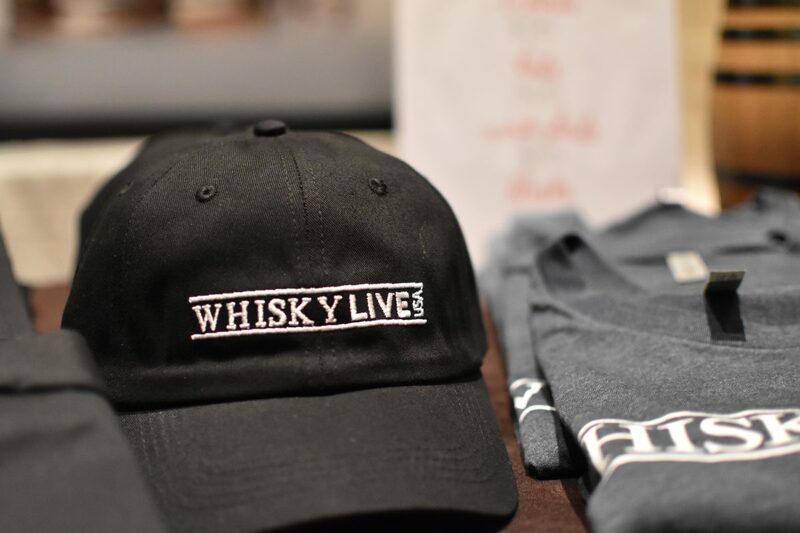 As long as indie brands are transparent, honest, and disclose the facts; whether they source their whiskey from MGP or distill it themselves it’s no longer an issue for consumers. “Founders Stories” seminar hosted by Distill Ventures. I hate to gloss over the other two seminars but I want to get to tell you about the tasting expo before I run out of Internet. The second seminar titled “Founders Stories” was hosted by Distill Ventures. Gonzalo De La Pezuela guided attendees through the importance of marketing your distillery, your brand, and your story. The company looks like a great resource for startup distilleries to learn how to effectively market. The last seminar of the afternoon went by “Tastings, Ambassadors & Events” and was hosted by Tastings.com. Jerald O’Kennard and his team run one of the most successful and respected beverage ratings programs in the industry. They also help brands with bringing new products to market. They discussed the importance of high quality brand ambassadors and high quality tasting events. As this panel wrapped up I hit the main floor to taste some whiskey and learn what new products our favorite independent distillers are bringing to market. I started at Blaum Bros. where I spoke with founding bros Mike and Matthew Blaum. They’ve been hard at work distilling in Galena, IL since 2013. Though they have distilled whiskey from day 1, their current bourbon goes by “Knotter Bourbon” and is a sourced product. The name, a play on “Not our Bourbon”, makes it clear from the start that this isn’t a product they distilled. But, that’s about to change. Mike pulled out an unlabeled bottle of brown juice from under the table and poured me a sample of their very own, honest to goodness, distilled, aged, and bottled bourbon. While some craft distillers have released bourbon after aging just 1 year or less the brothers Blaum took the high road and let their bourbon, a mash of 72% corn/23% rye/5% barley, rest a full 3 to 4 years. Mike explained they use a wider hearts cut which committed them from the beginning to longer aging. Wider hearts mean they include more tails in their whiskey than a tight hearts cut would allow. In a nutshell, pure hearts is pure ethanol and doesn’t have much flavor. But including some tails, or higher boiling point alcohols, adds more flavor and complexity to the whiskey. Though it comes at a price, more tails means slightly more undesirable compounds that must be broken down and filtered out by time in a barrel. After 3+ years in a barrel Blaum Bros. bourbon should show more complex aromas and flavors offering a smoother bourbon at a potential higher proof. When I tasted it, from the nose to the finish this bourbon did not disappoint. I’ll reserve more detailed notes for the final bottled product but what I tasted at the Indie Expo is a very nice bourbon that is indeed smooth, especially for 100 proof, and complex with a nice spicy finish. The bourbon is set for release Summer 2018 at 100 proof and will initially be a blend of 3 and 4-year-old barrels. In 2019 they will transition to a 4 year age statement. But you don’t have to wait until next year to taste Blaum Bros. whiskey. They have a rye coming out this December. As Mike tells me, a one-off batch of 2,500 bottles of 92% rye/5% smoked malt/3% malt made with 5 different yeast strains and aged 2 years. Their flagship rye comes out Fall 2018 as a 100% rye offering aged 4+ years. Mike hinted there would be “more fun whiskeys down the road” and we’re excited to see what these seasoned distillers come up with! 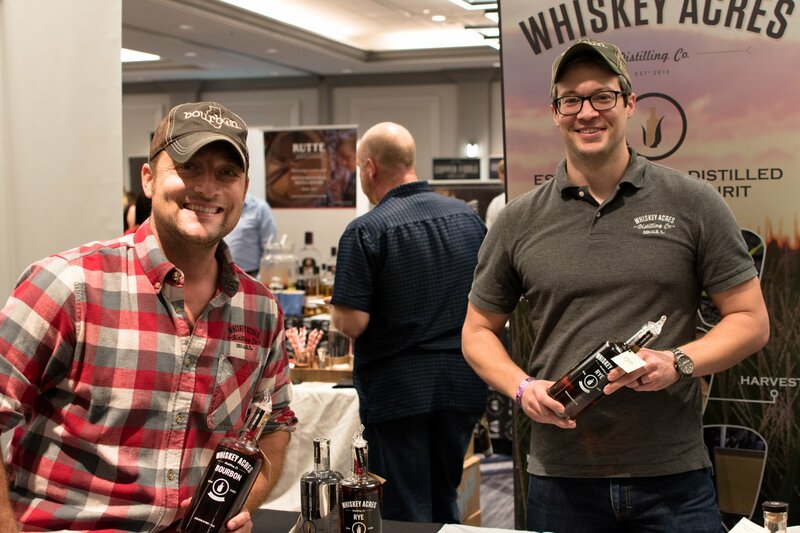 A midwest independent spirits expo wouldn’t be complete without our friends at Whiskey Acres Distilling Co. Co-founder, head of marketing, and distiller Nick Nagele poured bourbon and rye alongside assistant distiller Rob Wallace. The men poured their mainstay bourbon and rye whiskey distilled from grain grown on their 5th generation family farm. 100% of the corn, wheat, and rye used in their mash is grown, harvested, milled, and distilled by father-son farmers Jim and Jamie Walter. Both bourbon and rye are aged in a mixture of barrel sizes for at least 1 year then bottled at 87 proof. In my opinion Whiskey Acres is making some of the best truly craft, artisan, and independent whiskey on the market. With fierce nationwide competition from hundreds of new craft distilleries opened in recent years these guys started out with a passion that remains unwavered. While their bourbon and rye are fantastic the star of their recent releases, and news of a few upcoming whiskies, came next. Read more about Whiskey Acres, click here and here! Whiskey Acres Blue Popcorn Bourbon is part of their 2017 Artisan Series. Made from a mashbill of blue popcorn, yellow dent, wheat, and barley. This, along with the “Oaxacan Green” and “Sweet Corn” bourbons of the Artisan Series were available only at the distillery in very limited quantities of 375ml bottles. All sold out in a matter of days. Though there is some hope as Nick told me about 100 gift sets containing all 3 bottlings will be available closer to the 2017 holiday season. (Make it 99 sets after one ends up on my bar.) The Blue Popcorn is my personal favorite of these releases. With pronounced sweet butterscotch, vanilla, and cinnamon on the nose. This Blue Popcorn variety imparts an amazingly unique sweetness. It’s a departure from the yellow corn sweetness I typically pick up in the nose and palate of Whiskey Acres Bourbon. Once again, Whiskey Acres shows us how a farmcrafted bourbon made from their own grain and attention to detail can create a strikingly unique whiskey. I was very happy to hear that Nick and the team are also fans of this recipe and have laid down more barrels for a fall 2018 release. Not ready to rest on their current success Nick and Rob were proud to tell me about their next few released coming later this year and into 2018. They will have a “Maple Finished” bourbon. “We sent freshly emptied bourbon barrels to Funk’s Grove Maple Sirup farm in Bloomington, IL. They aged their maple sirup in the barrels for a couple of months. We got the barrels back the day they dumped them, and refilled them with our bourbon – then let them finish in the maple cask for a couple more months. We will release a VERY limited number of bottles within the next month.”, says Nick Nagele. They’re also working on part of their 2018 Artisan Series bourbon made from heirloom “bloody butcher” corn, a corn with deep red kernels. And one final surprise for us from Nick! “We are raising about a 1/2 acre of Glass Gem Popcorn that we’ll also be using for our next Artisan Series. These kernels are translucent and no ear is the same. The kernels look like they are shiny jewels. I believe we will be the first distillery to ever make bourbon from this.” . Read our take on the Whiskey Acres Sweet Corn Bourbon, click here! Next I stopped to see Ari Megalis, founder of Chicago’s Maplewood Brewery & Distillery. Brewing craft beer since 2014, Ari and business partner Adam have also been distilling whiskey. Working in small batches using the same grains used in their beer they produce one of a kind barrel aged whiskeys. I tasted three of these including the Single Malt Rye, Oatey Otter Malt, and the Fat Pug Stout Malt Whiskey. If you’re familiar with Maplewood’s beer you’ll recognize these names. 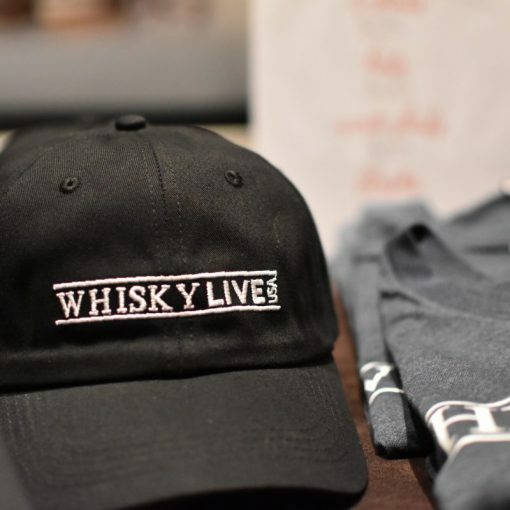 Tasting the whiskey alongside their beer made from the same grains is a very cool experience you’ll be able to do yourself when their tap/tasting room opens in Chicago this November! You’ll be able to find Maplewood whiskey on retail shelves later 2017 as well. Their whiskey has a very “clean” taste, this goes back to their off-grain distillation method I talk about in my tour of their distillery you can find here. It’s not too mellow or subdued it’s just….clean, crisp, smooth. The flavors really pop. And the rich and chocolatey flavor profile of the Fat Pug Stout Whiskey spoke to me. We toured Maplewood Brewery & Distillery last year, read about it here! My final stop of the evening, Traverse City Whiskey Co., is where I found distiller Moti Goldring behind the table pouring samples. Distilling in Traverse City Michigan since 2014 they have five whiskeys on the market and lucky for us all five were available to taste! They started by marketing a sourced (MGP) 4-year-old bourbon and a follow-up barrel proof offering. I enjoyed the barrel proof bottling with it’s welcome heat and spice you’d expect from a ~115 proof bourbon. They also have their own “Stillhouse Edition” Straight Bourbon, North Coast Rye, Port Barrel Finished Bourbon, and American Cherry Whiskey. The bourbon they distill uses a custom mashbill of 71% corn, 25% rye and 4% malted barley. Bourbon, Rye, Port Finished Bourbon, and Cherry Whiskey from Traverse City Whiskey Co. I tasted the Port Finish next and feel they hit a sweet spot with the finishing process. This bourbon is aged 3 years in new charred oak before resting in used port barrels. Moti told me they tasted the bourbon after various finishing times and it kept getting better with each passing month. Ultimately they finished the bourbon a full 12 months. The port smoothed out a bit of the bourbons spicy rye and added a hint of character from the port, highly recommended. 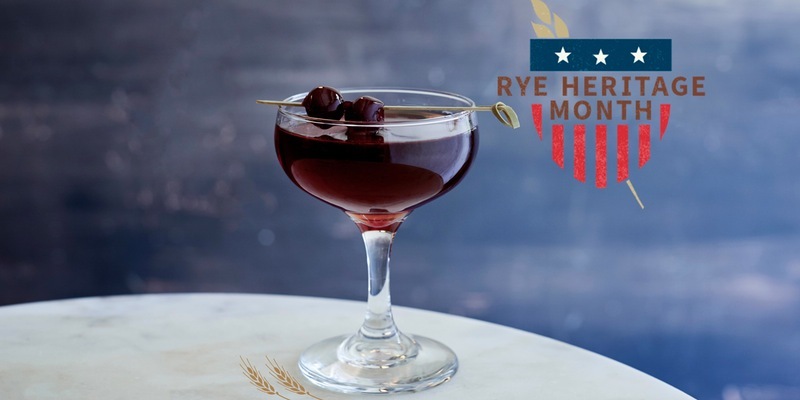 The “American Cherry Edition” whiskey shows off their province by adding 10 pounds of fresh cherries from nearby Fredrickson Orchards to each barrel for 2 weeks or more. They don’t add sugar or artificial flavors so this isn’t like any “flavored” whiskey you may have had. The cherry notes are subtle and add a depth to this whiskey that won it a Silver Medal at the 2016 San Francisco World Spirits Competition. My last sample was the “North Coast Rye”, a blend of 100% rye whiskey and 95% rye, 5% malted barley. This is their newest whiskey release aged 3 years or more and bottled at a respectable 90 proof. 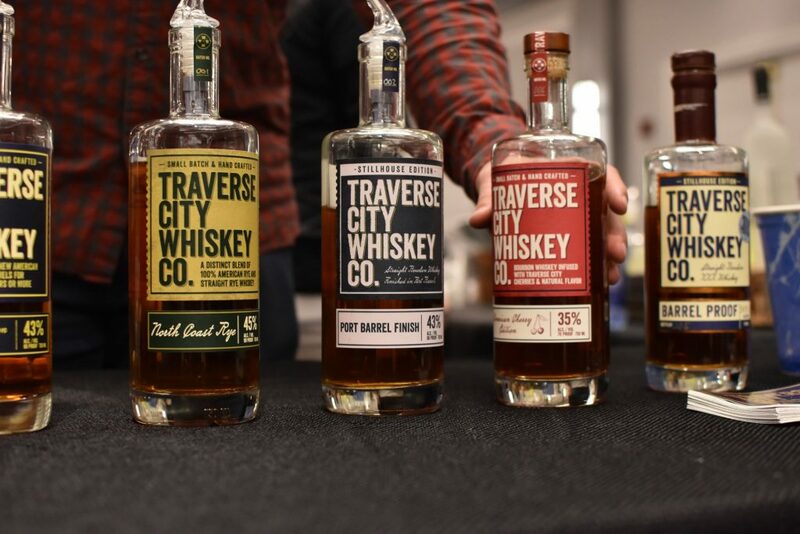 Chris Fredirckson, President of Traverse City Whiskey Co had this to share about an upcoming collaboration. “In addition to the current line-up, last year we partnered with a local apple orchard, fresh-pressed 30,000 pounds of their apples to make an apple cider, fermented the apple cider and then distilled the cider to make an apple brandy that’s been aged in our used bourbon barrels. It’s now been resting for 9 months and pretty damn good.”. All bottlings in the current Traverse City Whiskey Co lineup come in at $40 or less, with the exception of the barrel proof at $75. They’re doing a great job putting out these unique whiskeys, with more limited editions coming next year. And at these price points they represent a great value in the craft spirits category of 3+ year-old whiskey. 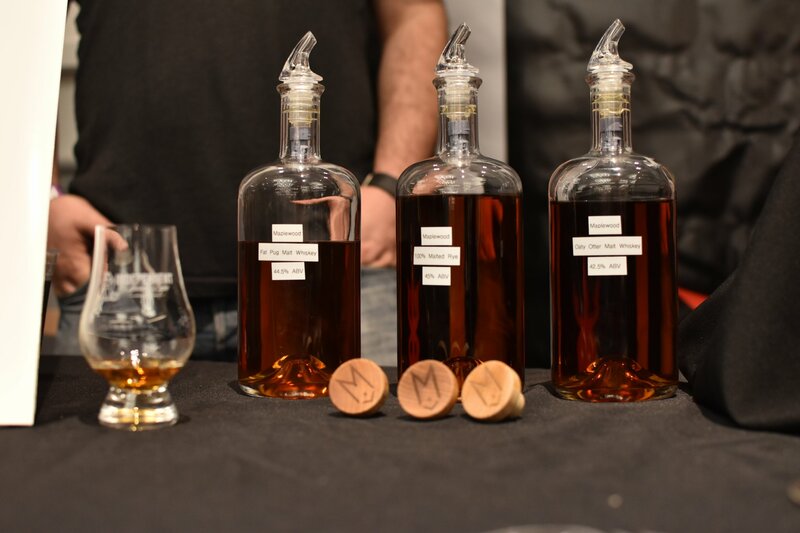 The days surrounding the Chicago Independent Spirits Expo are packed with spirited events. Each year more events are added and more people come from around the world to experience this week in Chicago dedicated to those who define themselves by the quality, dedication, and perseverance required to deliver their incredible spirits to your glass. I encourage everyone to attend next year for the unique opportunity to taste and learn from the actual distillers and owners of these indie spirits brands. This is one of the reasons I love the Indie Spirits Expo so much. Talking to the people who make some of my favorite craft spirits in person. And meeting and tasting up and coming brands before that may become new favorites! Next post Stave & Thief Bourbon Training Came To Chicago Distilling!